Read "How to Improve the Security of Office 365" to find out how you can protect your organization with steps to make sure you have strict policies and procedures in place. Learn more. Read this review of Quadrotech Autopilot, a SaaS application running on the Microsoft Azure Service Fabric that provides hierarchical on-premises Active Directory Organization Units, Group Policy Objects to an Office 365 tenant, and more. Learn more. Read this paper on how Radar Reporting can arm you with a customized dashboard that provides customization for your environment, daily, weekly, and monthly reports, maximizes Office 365 ROI and more. Learn more. Read this summary of the survey that identifies key outlooks that may help your organization make security and business decisions, including these findings that SSL-based evasion is more common than you think. Read this eBook to find out about five steps you can take to enhance your enterprise security, including how to defend against cyber attacks with full visibility into encrypted traffic. Read this eBook to find out about five areas to consider when looking at how to unravel your cloud complexity, including visibility and analytics, integrated security, and intelligent automation. Read this whitepaper and learn about the efficiency and TCO benefits of migrating from ADFS. Read this whitepaper to learn how Okta’s cloud identity service can be used to accelerate and simplify your Office 365 deployment and increase overall security. If your organization uses Microsoft and is undergoing IT modernization, you know how frustrating it can be when legacy systems and modern cloud technologies and applications don’t get along. Read this white paper to learn how cloud migration technology enables non-disruptive upgrades to the cloud with migration of corporate data into the cloud through a practical and cost-effective method. Learn more. Read this white paper to find out how companies can meet their storage needs through ‘as a service’ offerings creating a shift from purchasing and leasing to a consumption-based model. Learn more. Power your next generation data applications with clean data and the single version of the truth across the enterprise. Learn more. Migrating to Microsoft Office 365 can be complicated. Even with careful planning, deploying Microsoft Office 365 and delivering a fast user and application experience can be a challenge. 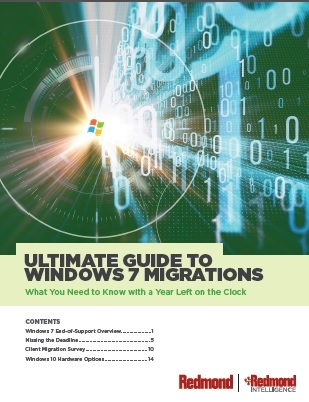 While most organizations assume their traditional networks are ready for the migration, many don’t realize that Microsoft recommends a different strategy. Learn more. Ready for Office 365? Already deployed but running into problems? Either way, there are some secrets to deployment that can put you on the road to success. Learn more. To measure the success of your Office 365 deployment, there’s really only one metric that matters: user satisfaction. But if your network isn’t up to the task, your Office 365 installation and its many applications can be quickly bogged down by performance problems. Learn more. This white paper provides a deep dive into how AutoML came to be, the difference between it and Augmented Analytics, and how they both have brought about the rise of the citizen data scientist. Read this new ESG Multi Cloud brief to learn more about trends in multi cloud, the influence of public cloud, and the average number of service providers organizations currently use. Do You Have Products Scheduled to EOL and EOS in 2018? The consequences of End-of-Life (EOL) software and hardware — and products at End-of-Support (EOS) — are too great to ignore.